After an encounter broke out in Anantnag district of Jammu and Kashmir, six terrorists have been killed by the security forces on early Friday. Reportedly, the encounter was broke out from Sekipora area of Bijbehara in the district. However, the internet services have been suspended in Anantnag as a precautionary measure. Earlier this week, Hurriyat leader Hafizullah Mir, district president of Geelani-led Tehreek-e-Hurriyat, was also shot dead in Achabal area of south Kashmir by unidentified gunmen at his residence. In a protest, a strike was called by the separatists over the killing of the Hurriyat activist in Anantnag district. Even the separatists- Mirwaiz Umar Farooq, Syed Ali Shah Geelani and Mohammad Yasin Malik had also asked the people to participate in the protest against the killing of Hafeezullah Mir in Achabal area of South Kashmir’s Anantnag district. 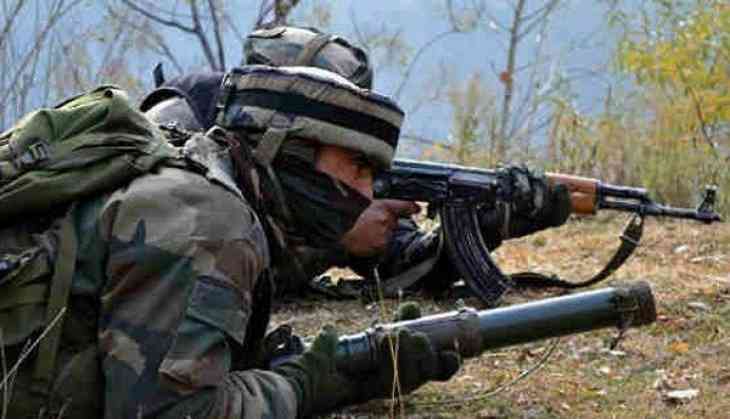 Earlier on Tuesday, one Indian Army jawan was killed and also four terrorists were gunned down in an encounter at Nadigam village of Jammu and Kashmir's Shopian district.